We are pleased to announce that Alder Brook Family Health has joined Evergreen Family Health of Williston in order to enable us to focus more on our primary area of expertise: taking care of you and your family. The combined offices will allow us to continue the high quality medical care you receive, and to support the relationship with your current provider. The practitioners and staff at Alder Brook look forward to being your primary care medical office for many years to come. We are all continuing to work at our same location. You will see your familiar Alder Brook team at 8 Essex Way! By joining the Evergreen Family Health team, Alder Brook will remain an independent medical office, not owned by a hospital or health system. We will also now have additional assistance with administration and operations. 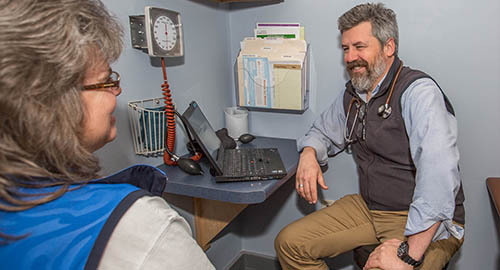 Evergreen Family Health has a long tradition of success as an independent family medicine office, and the unique character and strengths of Alder Brook will be preserved, and additional services will now become available to you. With the transistion, your electronic patient portal has changed. The link for the new patient portal is to your upper right on this web page. If you need help with the portal or have questions please call the office. Monday through Thursday from 8:30 A.M. until 4:45 P.M.
Fridays from 8:30 A.M. until 4:00 P.M.
Saturday 9:00 am to 1:00 pm. Saturday hours are at Evergreen Family Health in Williston. If you have an urgent after hours medical problem, call our main number and you can leave a message with our answering service who will reach the on-call physician. Lucy Van Hollebeke, R.N., F.N.P.